Russia’s largest bank is looking at various opportunities to expand its business in India and China, where it has representative branches. 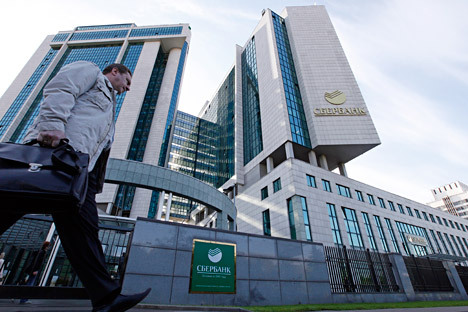 Sberbank is exploring opportunities to develop its business in China and India, where the bank already has representative offices, Lev Khasis, First Deputy Chairman of the Board of Directors at Russia’s largest bank, told reporters. “We are studying the possibilities of developing our business in India and China. To date, our most successful foreign business is located in Turkey, where our subsidiary Denizbank is one of the largest and most successful banks in Turkey,” Khasis said. “European and American sanctions, of course, are creating some problems for us. Therefore, we hope that someday these sanctions will be relaxed, and that should help us accelerate the development of our international business,” noted Khasis. The bank would look at and consider a new development strategy for its international business in December, Svetlana Sagaidak, Assistant to the Deputy Chairman of the Board of Directors, said early Monday. More than 135 million individuals and over 4 million enterprises in 20 countries use Sberbank services. The Bank has the most extensive branch network in Russia – about 17,000 branches and internal divisions. Sberbank’s international network is composed of subsidiary banks, branches and representative offices in the UK, the USA, the CIS countries, Central and Eastern Europe, India, China, Turkey, and many other countries.